H.E. 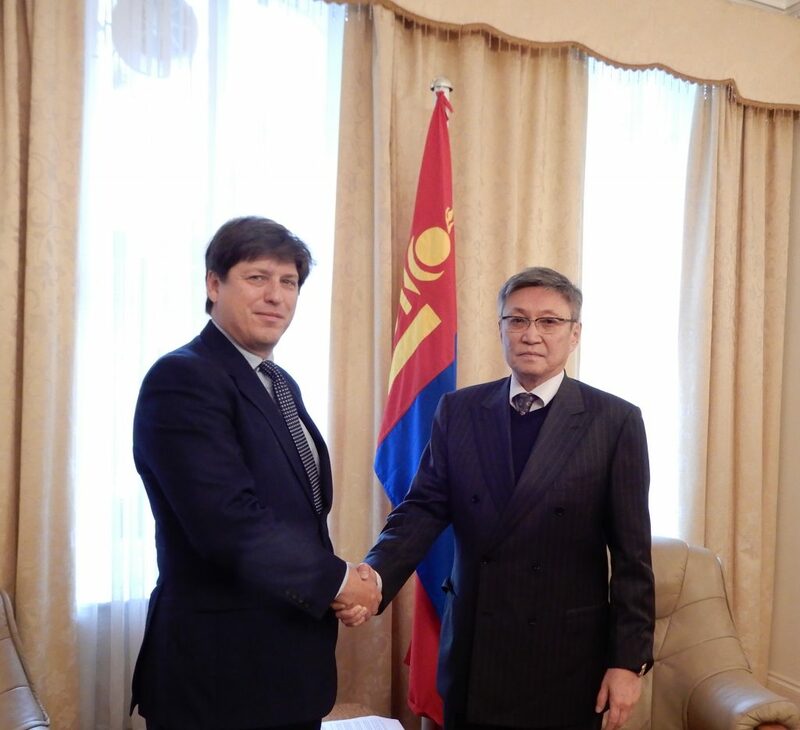 Mr. Bayar Sanjaa, Mongolian Ambassador met with Mr. Patrick Moody, the newly appointed Head of the Asia Pacific Department of FCO. 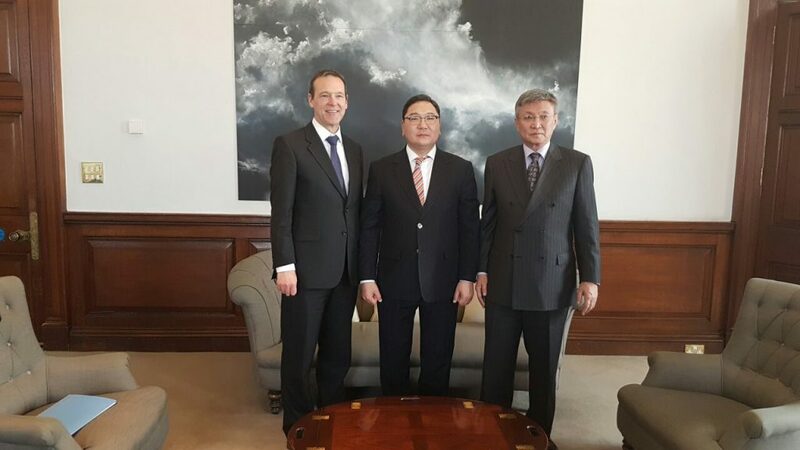 While congratulating on his new appointment and extending best wishes for his endeavour, Ambassador S.Bayar has expressed his confidence that Mr. P.Moody, as his predecessors, will commit his efforts to further strengthen the friendly ties between the two countries. During the meeting, the parties have exchanged their views on different issues of bilateral and multilateral cooperation. Mr. Moody has expressed his gratitude for rendering opportunity to meet and noted that the bilateral relation has withnessed an impetus on education and economic sectors in recent years and reiterated that the Britain is keen on further enhancement in those sectors.